Uncover the artist in you! 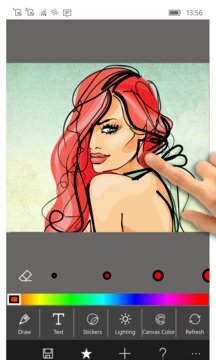 With very idealistic and creative application on your touch device for creating custom sketch templates with your personal images. 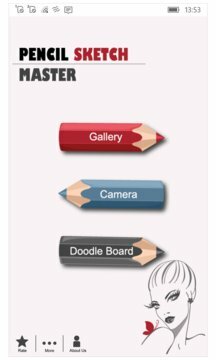 Ultimate sketching toolwith simplified design on your windows device. Integrated with 3 styles functioning - Sketch, Doodle and Hatch for amazing user experience. Optimized for all universal windows device for delivering stunning performance and impressive responsiveness. Universal Windows Application support for stable and reliable working with images for designing frames and feasible photo editing on windows device such as smartphones, pc and tablets.